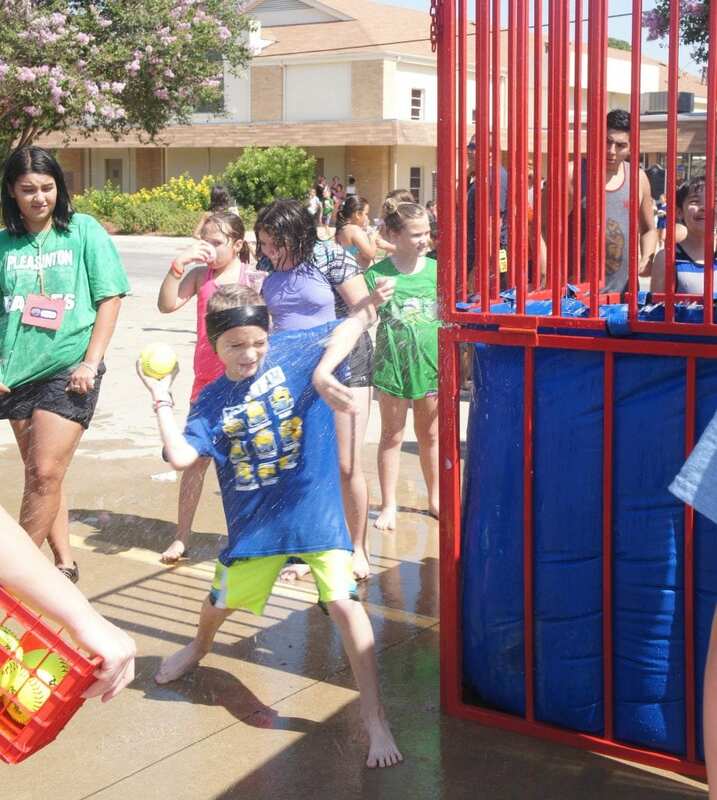 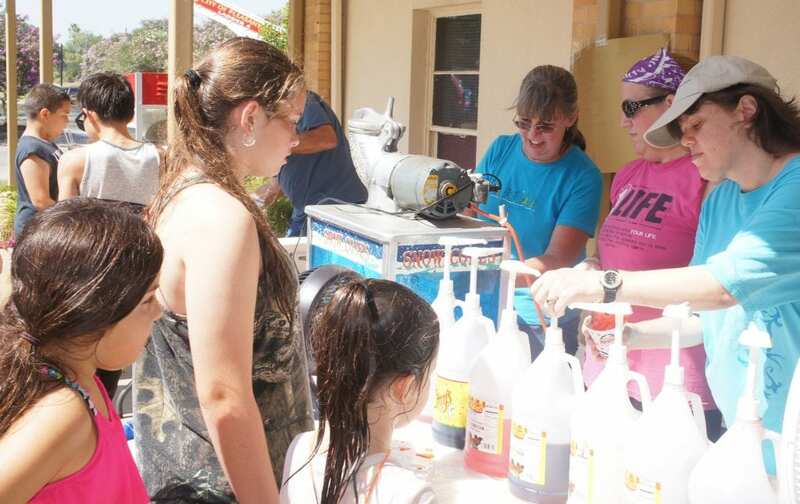 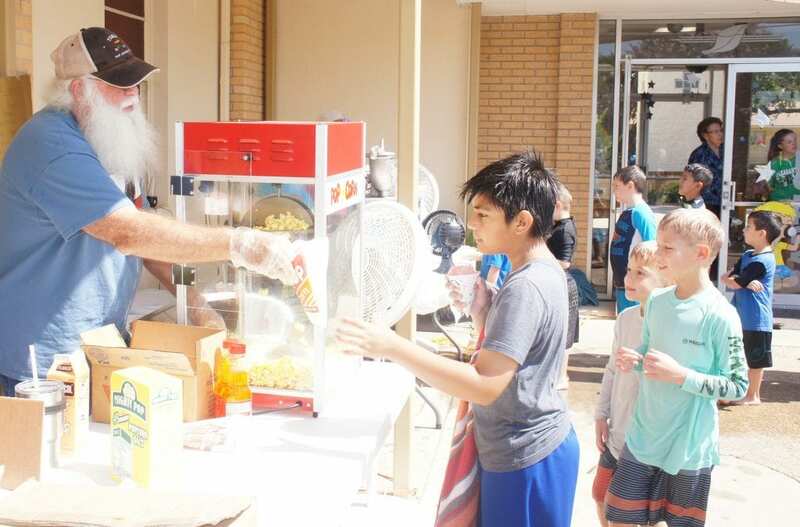 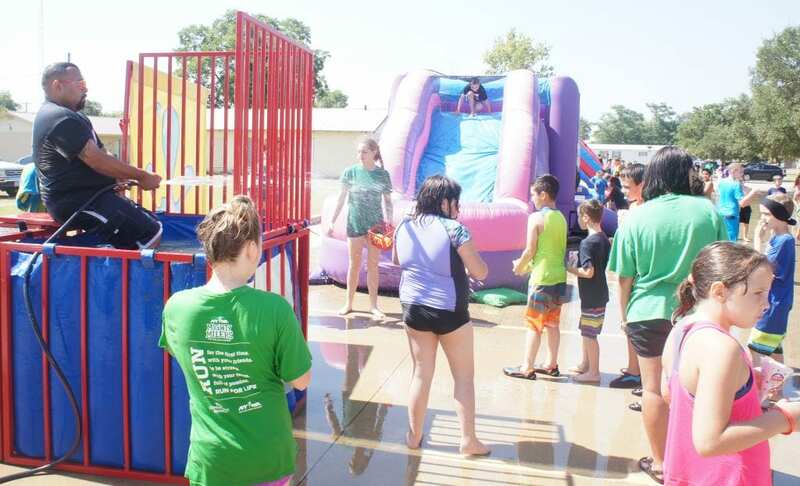 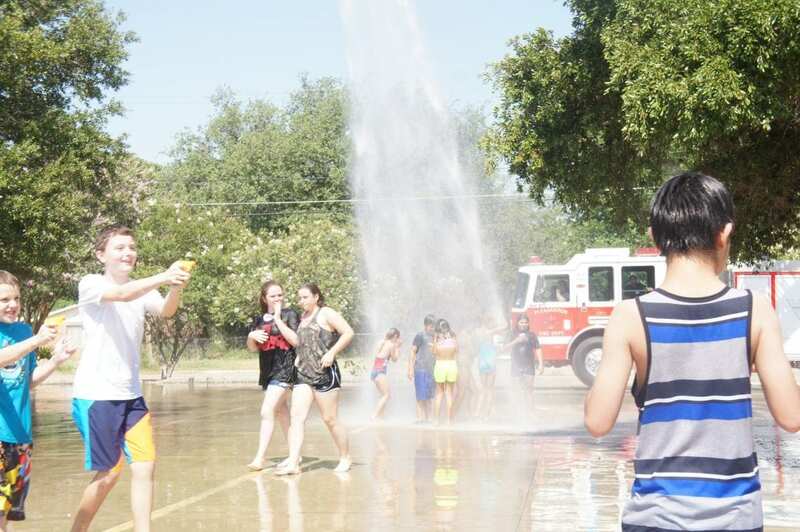 First Baptist Church of Pleasanton concluded this years Vacation Bible School with its annual Water Day event. 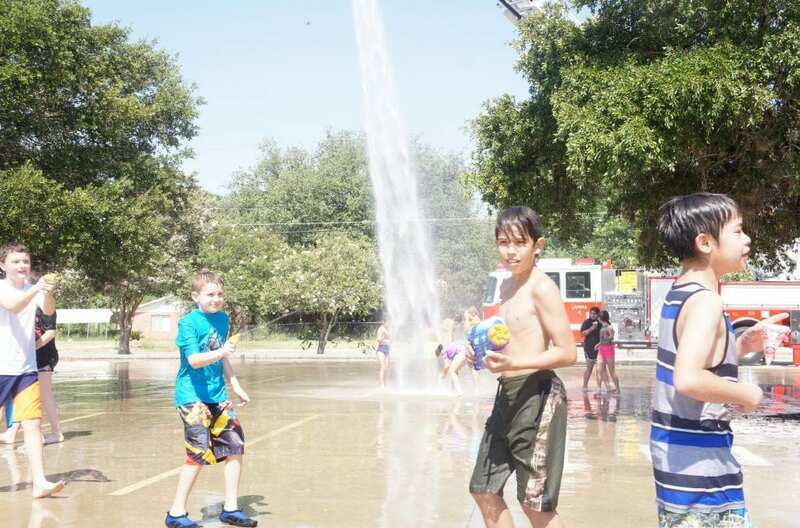 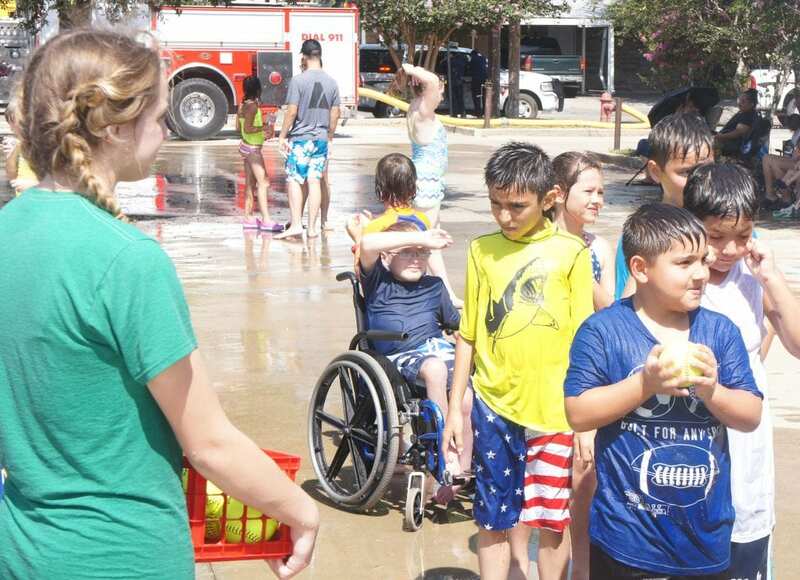 The Pleasanton Volunteer Fire Department kept children cool by bringing their ladder truck. 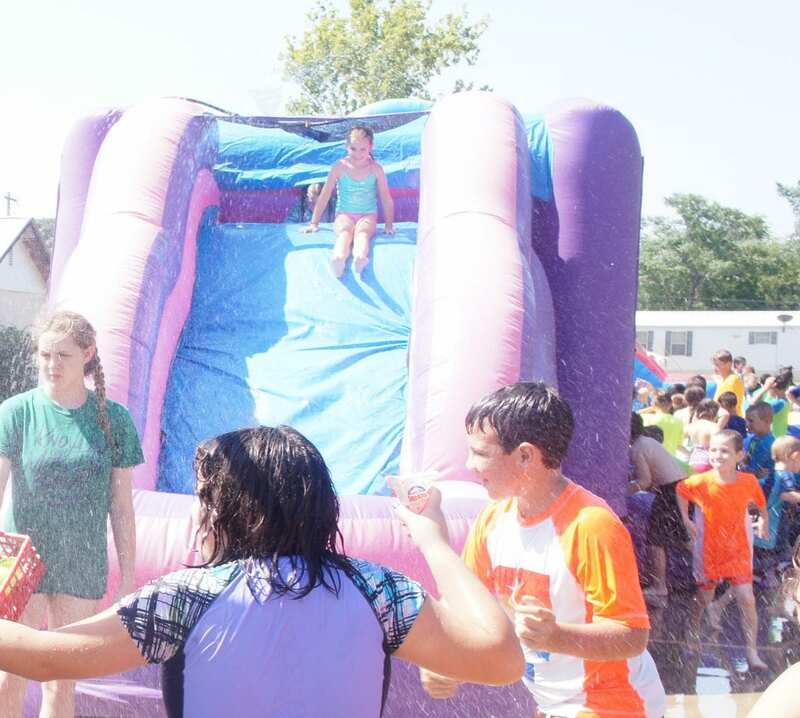 The youngsters also enjoyed inflatable water slides, snow-cones and more.